Only part of our content is available in the language you selected. See what content is available in Lietuvių. In her first visit to Cedefop on 22 April, European Commissioner for Employment, Social Affairs, Skills and Labour Mobility Marianne Thyssen praised the agency’s work, which ‘impacts on people’s lives’. 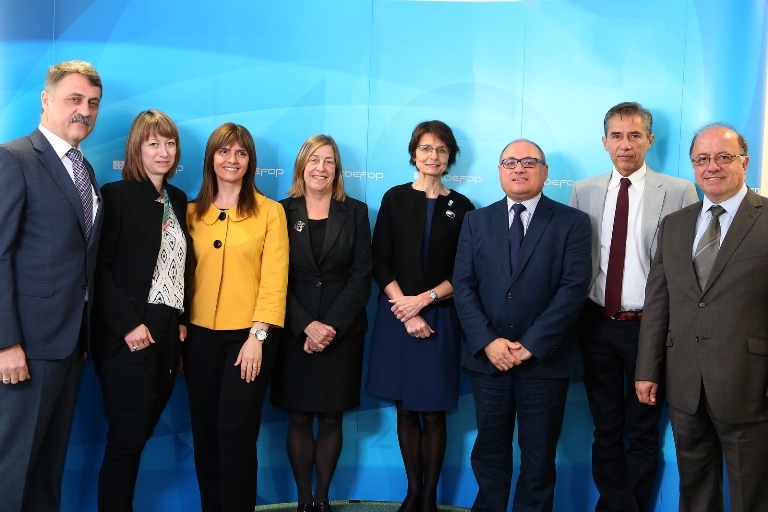 The Commissioner was greeted by the Chair of Cedefop’s Governing Board Micheline Scheys, Director James Calleja and Deputy Director Mara Brugia. Ms Scheys pointed out the importance of the Commissioner’s visit in getting to know Cedefop first hand. Mr Calleja welcomed the Commissioner to ‘the European house of vocational education and training’. He said that Cedefop is where ideas on skills, qualifications, youth employment and European tools are generated for stakeholders. ‘The next big challenge is the upcoming Skills agenda to which we have contributed and we look forward to helping implementing it so that no citizen is left behind,’ he added. ‘I am more motivated than ever to work with you to make social changes European citizens deserve and to make VET a first choice, not a second option,’ she concluded. Cedefop experts presented to Ms Thyssen various aspects of the agency’s work focusing on employability for citizens, particularly on skills anticipation and forecasting and the Skills Panorama website, apprenticeships and work-based learning, with special focus on SMEs.